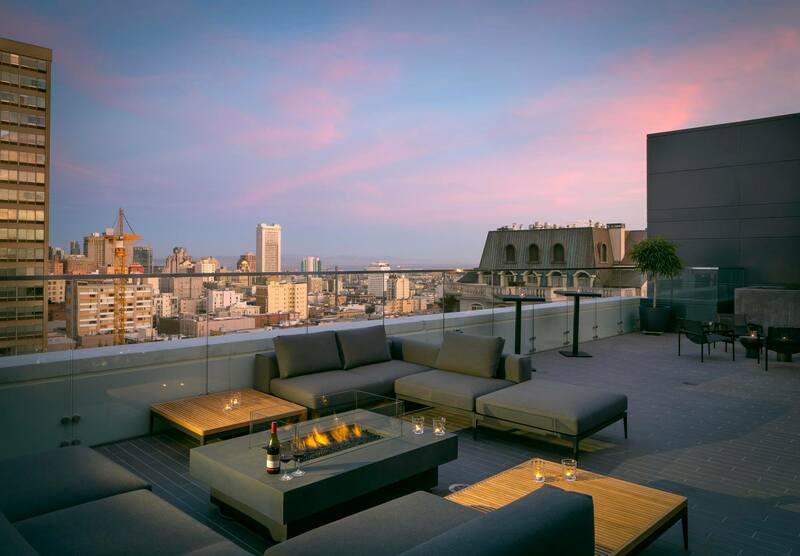 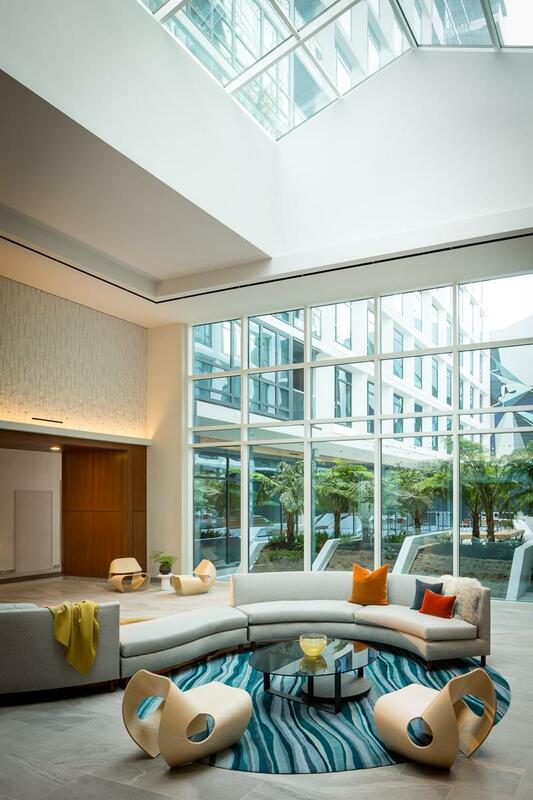 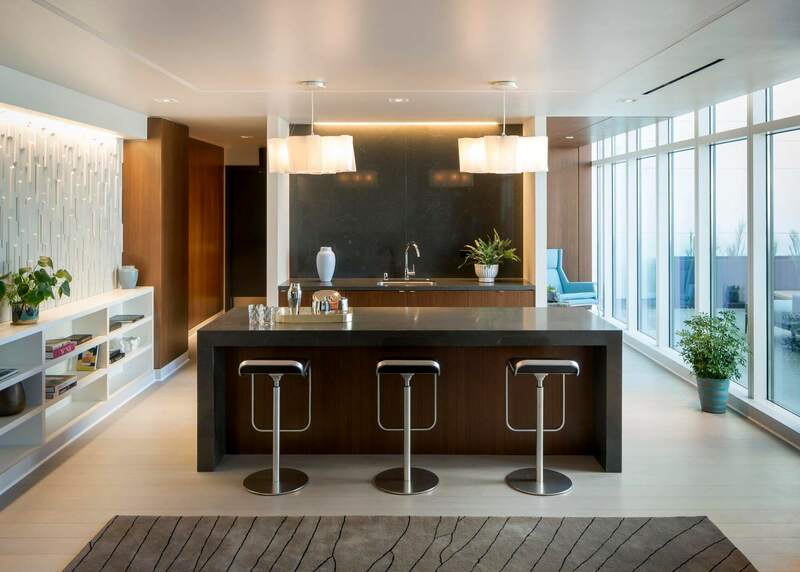 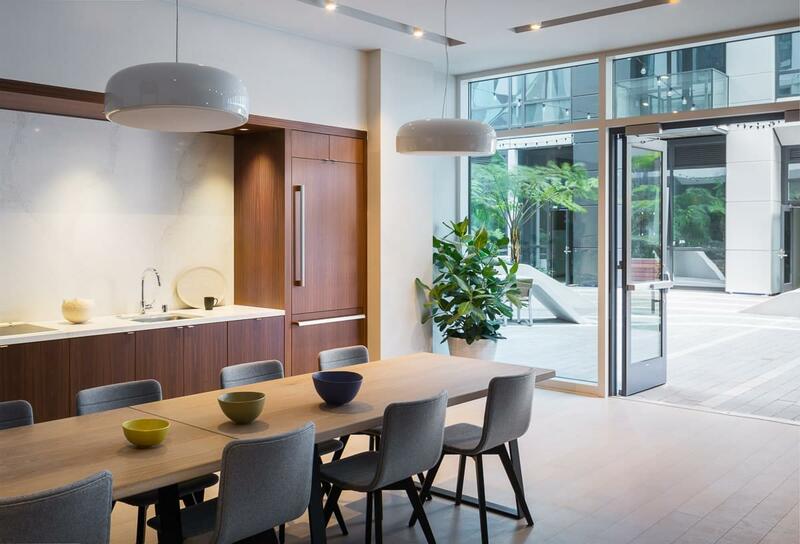 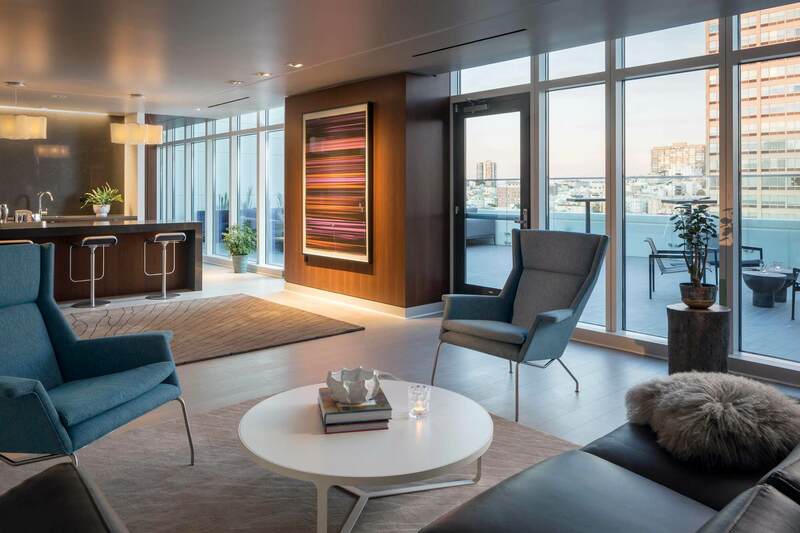 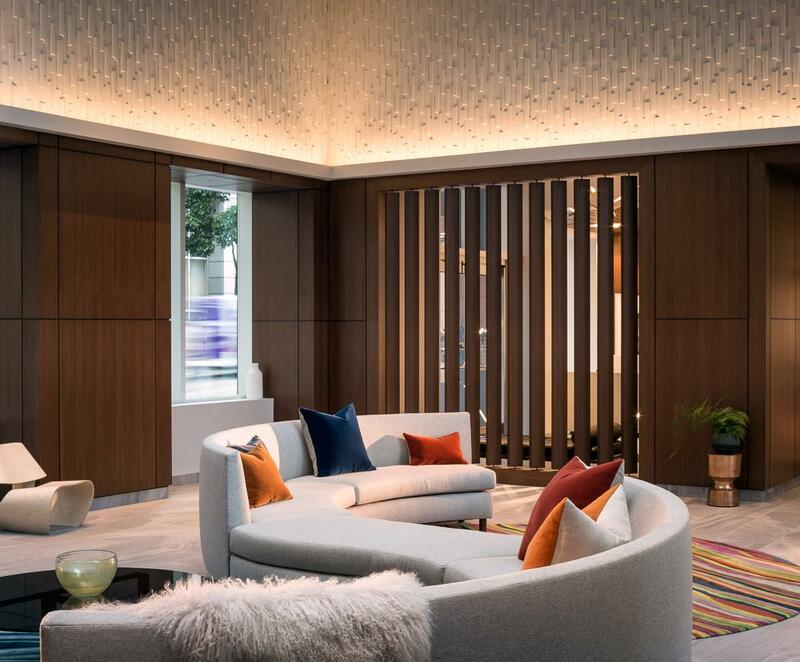 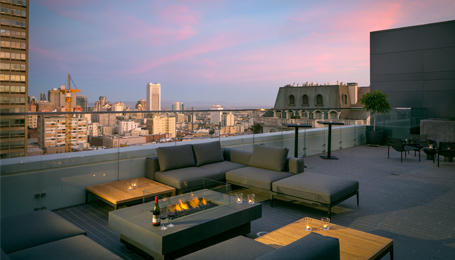 Located in one of the most scenic and park like settings in San Francisco, Rockwell is an elegantly appointed 259-residence development nestled at the foot of Pacific Heights. 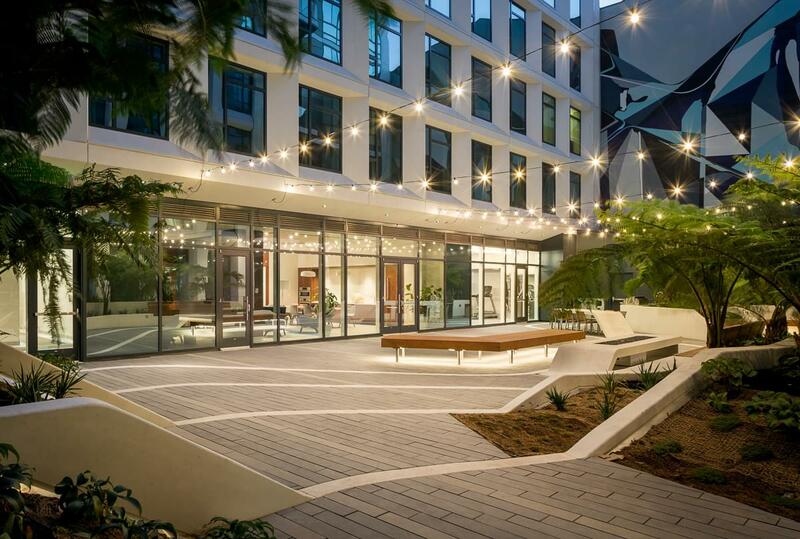 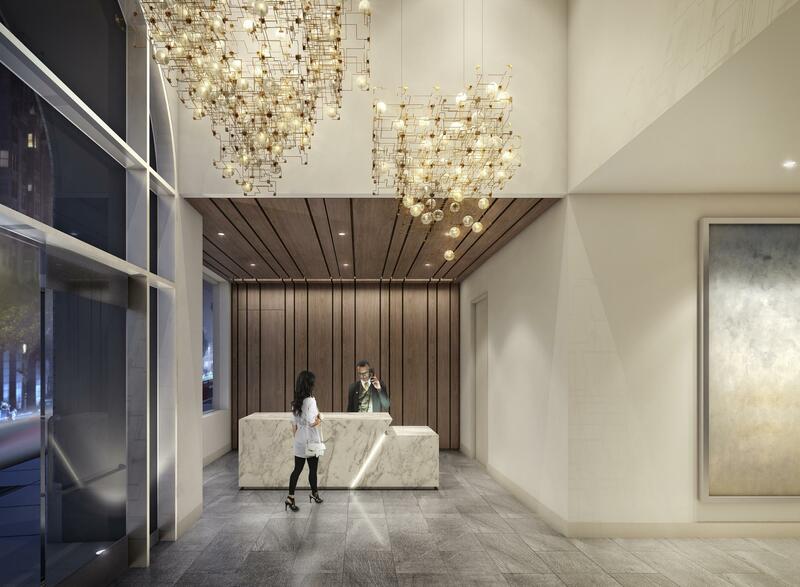 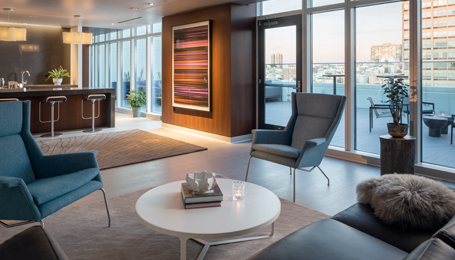 Comprised of two 13-storey towers Rockwell’s entrances are restored facades from historic Auto Row which create a charming gateway into the light filled, Grand Solarium lobby. 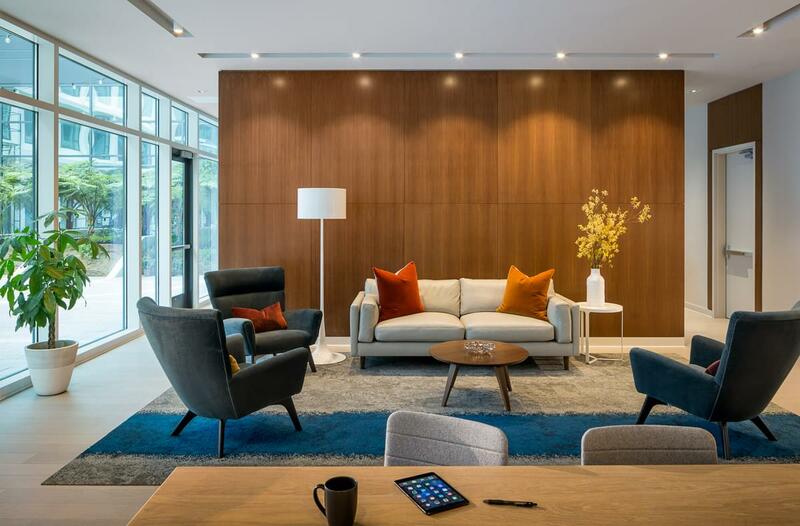 The buildings’ shared amenities reference the neighbourhood’s Art Deco heritage in a modern vernacular with fluid furniture forms paired with rich wood panelling and accented by vivid colors in playful motifs.